Great news! 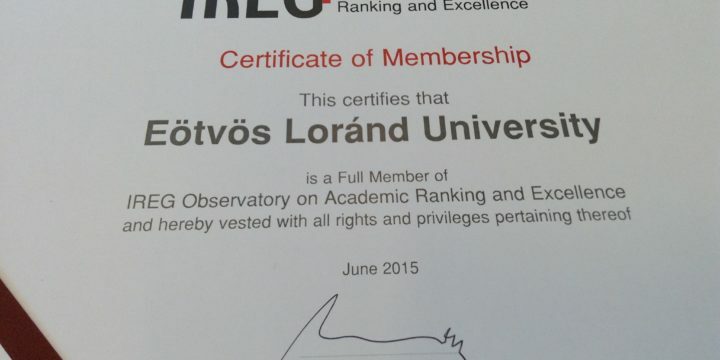 We are proud to announce that General Assembly of the IREG Observatory on Academic Ranking and Excellence has admitted Eötvös Loránd University as a full member, the university is thus the first institution to be admitted from Hungary. About IREG IREG Observatory on Academic Ranking and Excellence is an international non-profit association concerned with ranking and promotion of quality of higher education. A full membership is granted to organizations that are highly active in the area of academic ranking research and analysis.